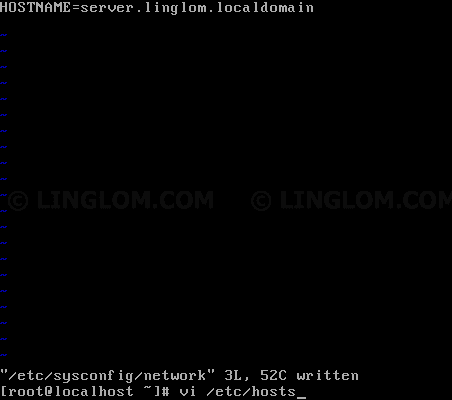 This article shows step-by-step how to to change hostname on CentOS 6.6 from the default name localhost.localdomain to server.linglom.localdomain as example. On CentOS 6.6, type the command below to see the current hostname. The default name is localhost.localdomain. Edit /etc/sysconfig/network by type the command below. Modify HOSTNAME to the value that you want. Note: To modify file with vi editor, press i to enter edit mode and make changes as you want. Once finish editing, press ESC + : (colon) and type wq to quit vi editor and save changes to the file. Next, edit /etc/hosts by type the command below. 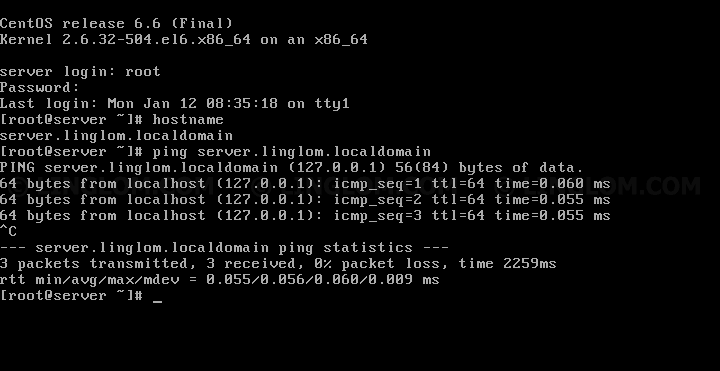 Add a new line with IP address as 127.0.0.1 for the new hostname. 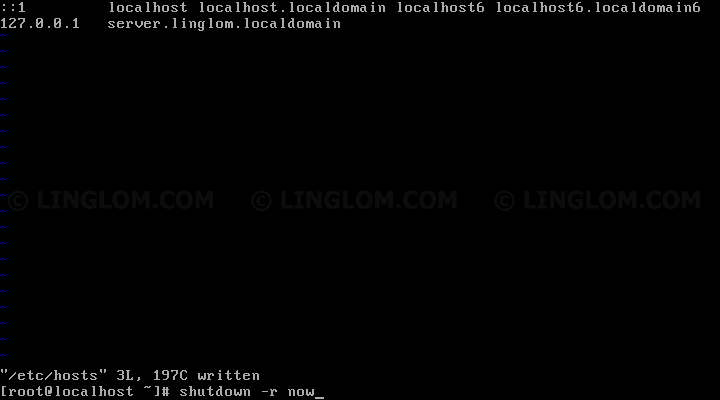 After reboot, hostname is now changed to new value.